Having trained in Culinary Arts at the prestigious Johnson and Wales University in Rhode Island, USA, Paula McIntyre returned to Northern Ireland in 1998, working as Head Chef in several establishments. Paula has penned a number of recipe books and is a regular fixture on TV with a number of cookery shows under her belt. She is a foodie contributor on Radio Ulster and currently writes a weekly column for local press. Angus Wilson started the Wilson’s Country Potatoes business from the family farm in the 1980s, and the business has gone from strength to strength. The company, which is passionate about potatoes, now employs over 100 staff in the six acre site in County Armagh. Wilson’s Country Potatoes is one of the leading potato brands in Ireland. 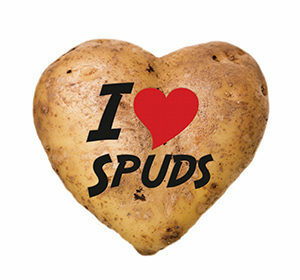 Michael McKillop is the director of Glens of Antrim Potatoes, a potato processing company based in Co Antrim. Owned by the McKillop family since 1972, Glens of Antrim supplies most major supermarkets and many smaller retailers across Ireland and the UK. An avid supporter of local spuds, Michael is an active member in both the Northern Ireland Potato Festival organising committee and the Northern Ireland Stakeholder Potato Promotion Group. The driving force behind the creation of Food NI, Michele is a graduate of Edinburgh University, post graduate of University of Ulster and the Irish Management Institute and a qualified accountant. Motivated by her experience of working overseas Michele was inspired to work with the agri food sector to enhance the reputation of the region. She raised £1m funding from the private sector to run the ‘Northern Ireland Good Food is in our Nature’ television campaign. 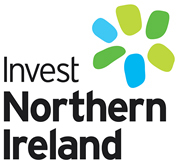 Along with the founding directors she started Food NI six years ago with just six members; today there are almost 300 members who work together to put forward a positive message about food from Northern Ireland.